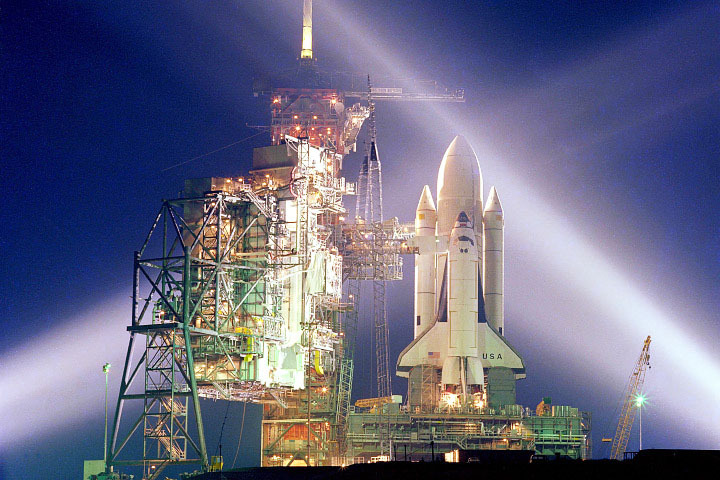 The loss of the Space Shuttle Columbia was a shock to the nation but especially to the leadership of NASA who believed that they were providing strong protection against just such an event. The Columbia Accident Investigation Board went beyond the technical causes of the accident to the culture, history, and human factors which lead to catastrophe. After Columbia, Wayne Hale was appointed to leadership in the Space Shuttle program with the instruction to not merely correct the technical problems but also address the management culture. Hale will briefly describe the history and management culture at NASA prior to Columbia, and then delve into the changes —both technical and human — that were made as the Space Shuttle was returned to flight. These changes affect NASA today as it gears up for the next phase of deep space exploration. Wayne Hale is currently a consultant for Special Aerospace Services of Boulder, Colorado. In that capacity he provides services in technical consulting and analysis, as well as speaking engagements with aerospace, energy, and other high-reliability organizations on safety, management, culture change, and operations in high-risk environments. Hale was was recently appointed to the NASA Advisory Council where he provides programmatic and policy advice to the leadership of America’s space program. Hale retired from NASA in 2010 as the Deputy Associate Administrator of Strategic Partnerships at NASA Headquarters in Washington, DC. He served in the senior leadership of NASA’s Space Shuttle Program from 2003 to 2008 as Launch Integration Manager at the Kennedy Space Center followed by two years as Deputy Program Manager and finally as Program Manager during the post-Columbia return to flight effort. From 1988 to 2003, he was a Space Shuttle Flight Director for 40 Space Shuttle flights, and prior to that he was orbiter systems flight controller in Mission Control for 15 early Space Shuttle flights. The capstone achievement of Hale’s career was the transformation of NASA’s Space Shuttle management culture to one that emphasized safety and mission success. His tenure as Program Manager marked seven successful space shuttle flights and set the safety standards for the fly out of the Space Shuttle program. Hale has received numerous awards, namely three NASA Outstanding Leadership Medals, the NASA Exceptional Service Medal, and a Distinguished Alumnus award at Purdue University. Hale holds a Bachelor of Science in Mechanical Engineering from Rice University and a Master of Science in Mechanical Engineering from Purdue University. While an undergraduate at Rice, he held offices in the Rice Program Council, the Rice Honor Council, the Hanzsen College Cabinet, and served as President of the Student Association 1975-76. Hale was selected by the Rice Engineering Alumni as the Outstanding Engineering Alumnus in 2012.